Doodlebugs: 2018 Mega Sponsor Spring Blog Hop Winners Announced! 2018 Mega Sponsor Spring Blog Hop Winners Announced! We hope everyone enjoyed the Spring Blog Hop! We loved seeing all the creative projects posted by the participating sponsors. Today is the day....we're announcing the winners of the 2018 Mega Sponsor Spring Blog Hop. A huge "thank you" to everyone who took the time to visit each of the blogs and comment! We are thrilled that you joined in on the fun. I'm new to your blog and just subscribed. Can't wait to start receiving your posts. These cards are just beautiful!!!!! Please contact us via email at: customerservice@doodlebugswa.com so we can get your prize package sent out. NOTE: If you are listed as a winner, please contact the sponsor of the prize you won to claim it! Please claim your prize by Friday, May 18, 2018, midnight EST. If the prize is not claimed by May 18, 2018, the sponsor has the option to choose another winner or void the prize. Wow!! THANKS SO MUCH!!! So exciting to be your winner!!!!! I just e-mailed you a few minutes ago!! I'm so excited!!! 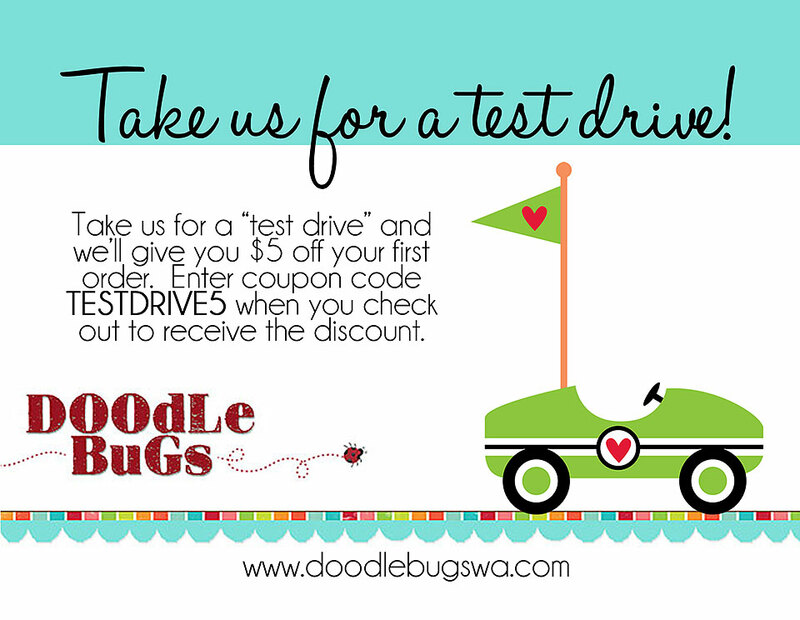 Use Coupon Code: TESTDRIVE5 & save $5 on your first order!